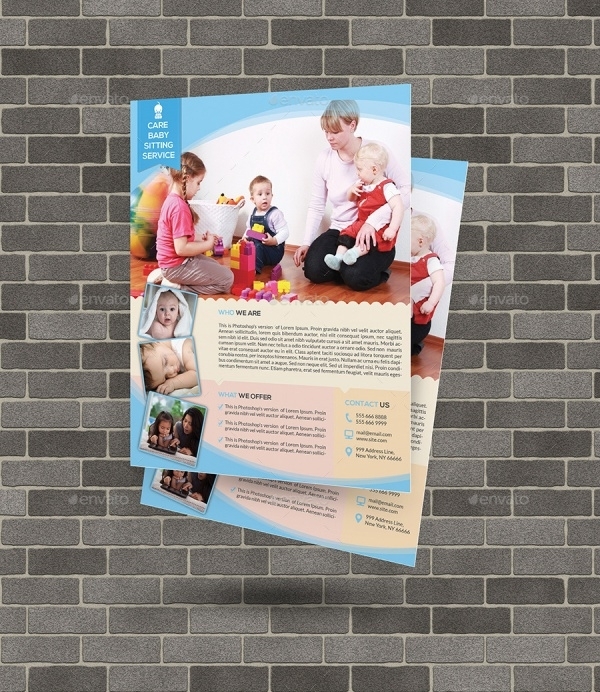 A babysitting brochure is supposed to show love and adoration, which the company or the person has towards children. 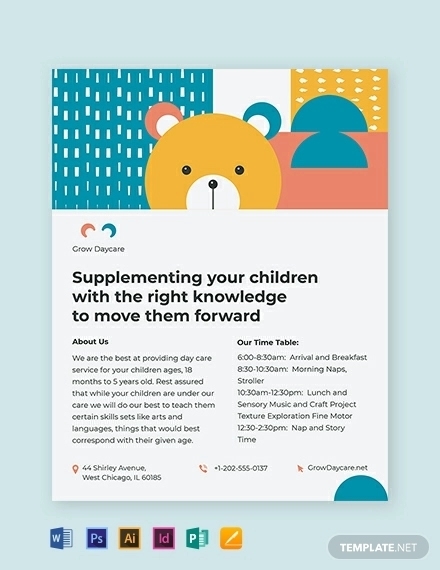 Most important of all, the day-care flyers are supposed to be able to gain the trusts of the parents, to let them take care of their precious kids. Everyone wants quality child care services, and wouldn’t mind paying any amount, if they are sure that it is safe for their child. 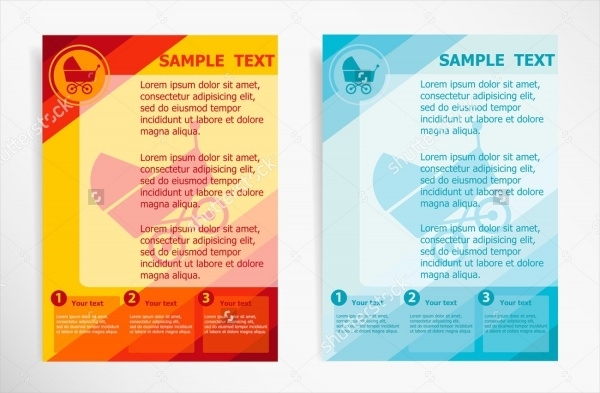 Use these templates to make a trustworthy flyer to gain trust of the parents. You may also see Baby Shower Flyers. 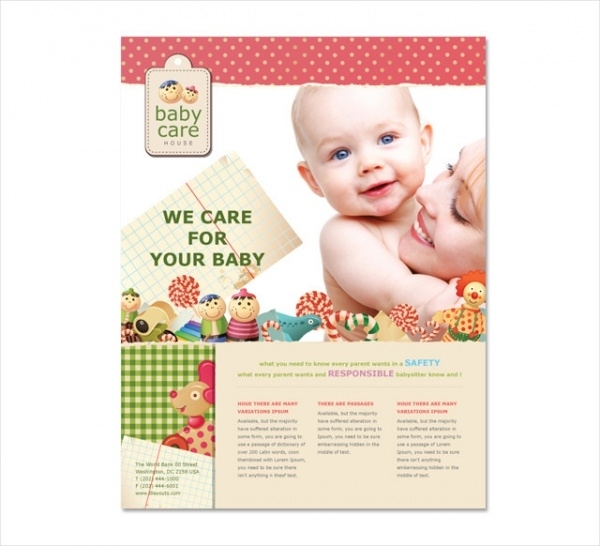 This cute baby day care design is simple and elegant, colourful too. It is attractive to the children, making it adorable. You may also check School Flyers. 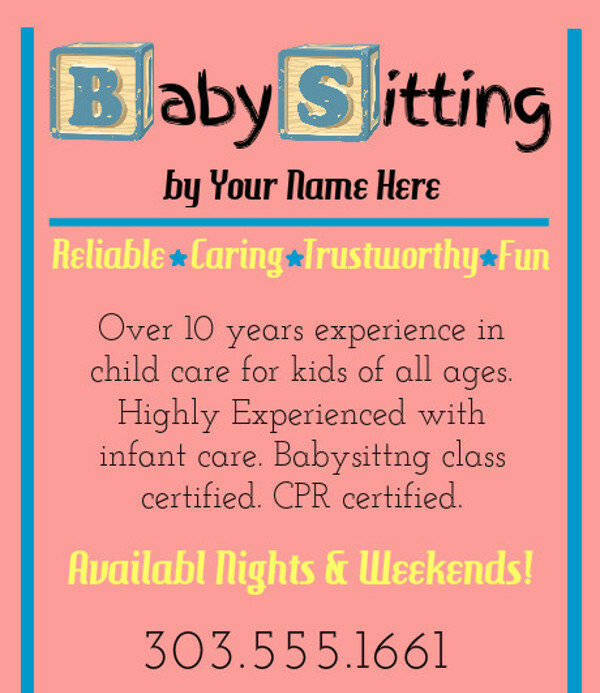 This cute and simple babysitting flyer is minimal, and yet, attractive with the use of a bright purple. 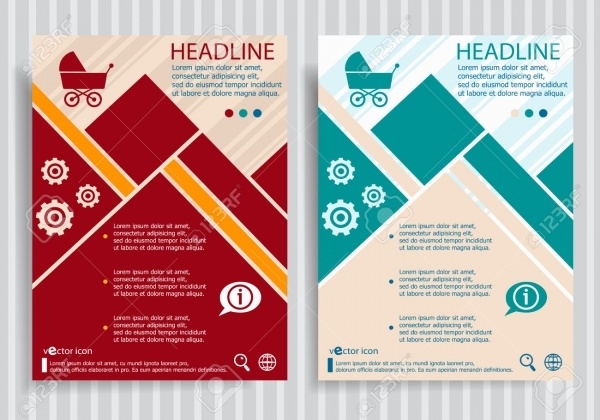 The picture is not included in the template, and can be easily edited. You may also check Food Drive Flyers. 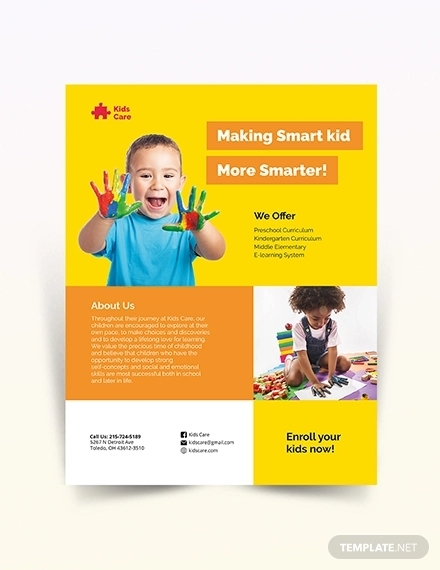 This bright and colourful template is customizable and can be used for advertising your agency. The use of cartoon depictions and huge fonts is attractive. 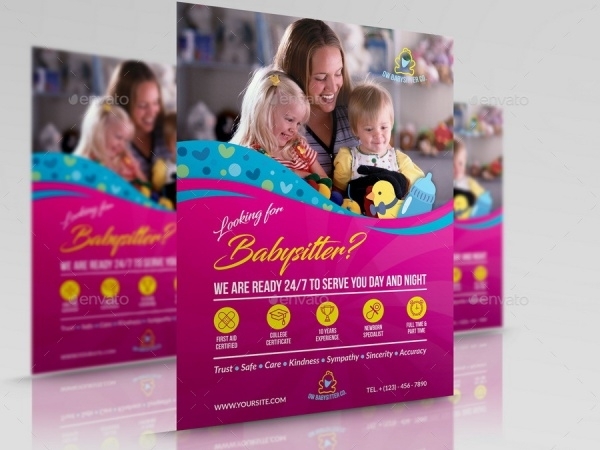 This professional looking baby care flyer is attractive and modern. This can be totally edited and can be customised to suit your company. 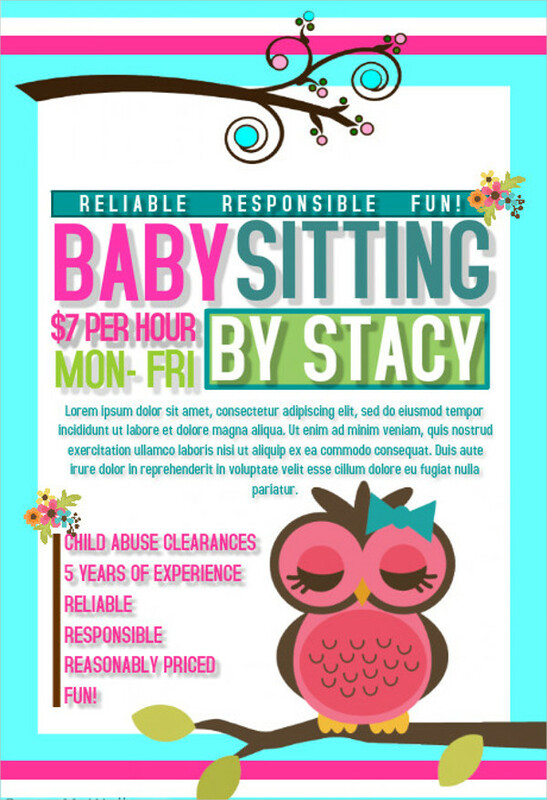 This adorable babysitting flyer template is bright and cheerful, setting a similar mood on the people looking at the brochure. The bright pictures and colours in the flyer template make this cheerful. The template is cute and can be used for other kids party template also. 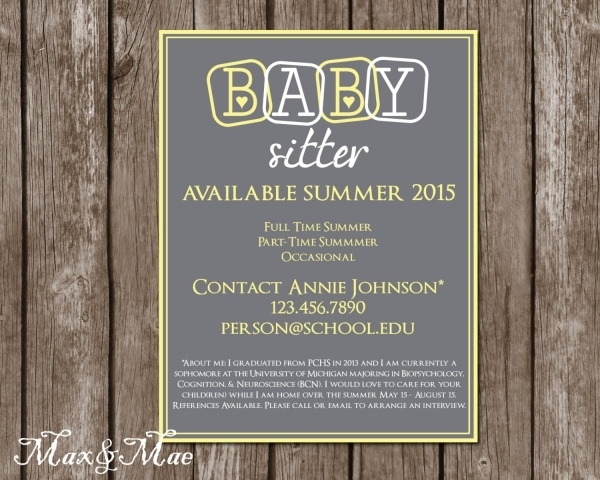 This attractive template with a baby buggy symbol is attractive and is available in two solid bright colours. It is available in high resolution and in various sizes. 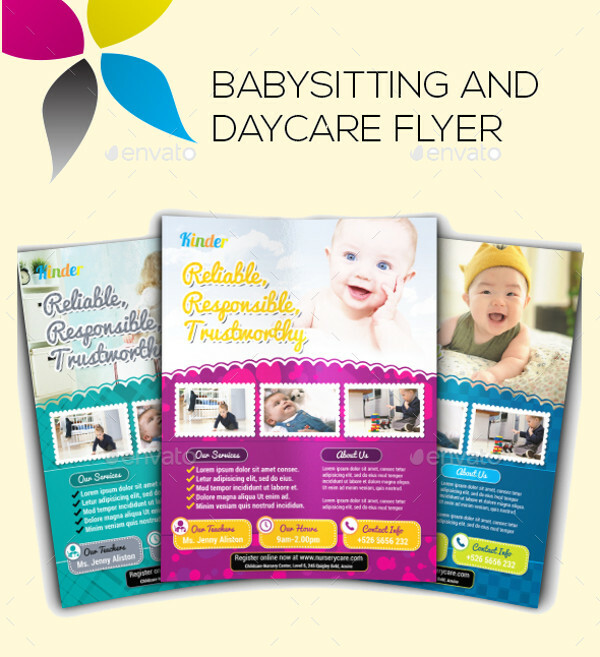 This babysitting and day care flyer is available in three bright colours for easy editing. 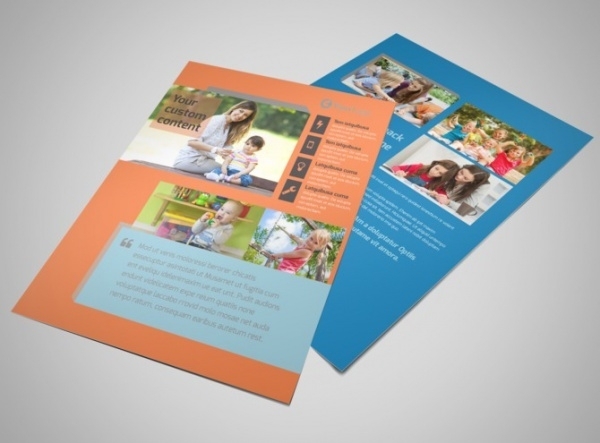 This abstract modern day flyer with a baby buggy symbol is available in two colours. They are attractive and abstract, available in JPG format and in various sizes, too fit your needs. 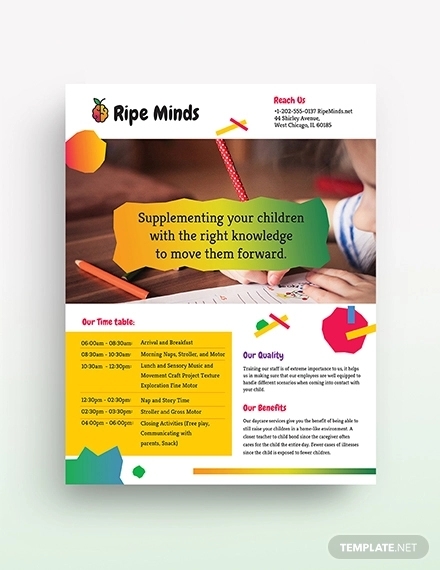 The use of bright colours and chalk writing makes this flyer cute and attractive for the children and also the parents. This bright and colourful design is available in bright colours, which is attractive. It can be easily edited and customized. This bright pink flyer is cute and adorable. This template can also be used for teen parties’ invitation flyers and sweet sixteen birthdays. 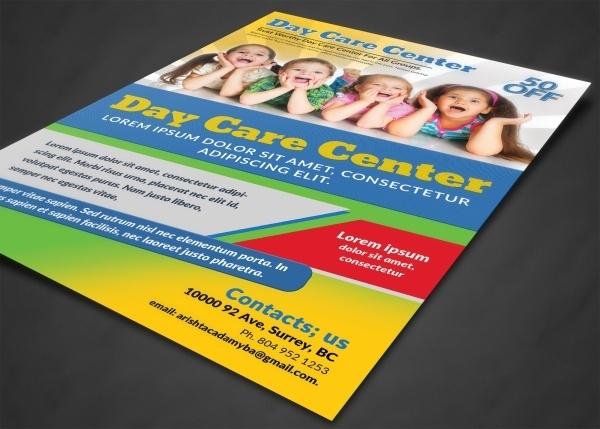 This elegant design is perfect for child care centre and old age homes. The use of a subtle green with complementing writing makes this beautiful. 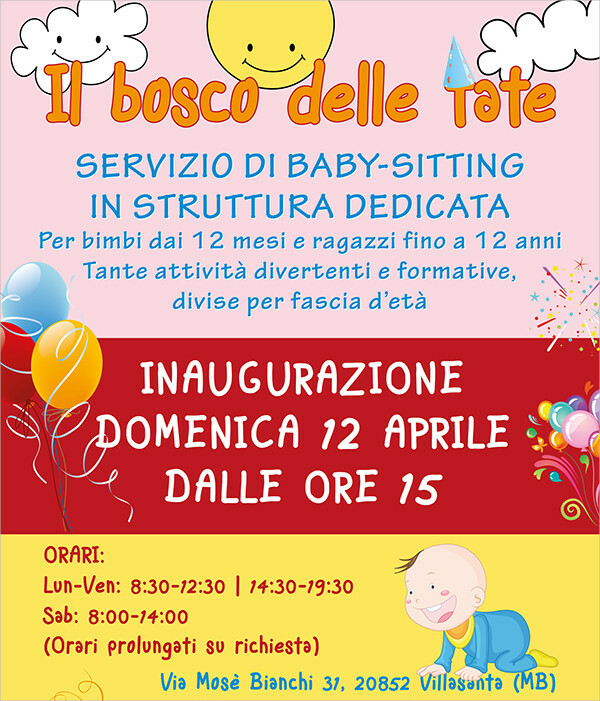 Made in baby pink and complimenting blue, this flyer is adorable and simple, with big fonts used for information, making this attractive for the children and trustworthy looking for the parents. The colours are easy to edit. This customizable template is available in bright orange, which can be edited and changed to your liking. It is attractive and simple, and can be used for various related companies. There is an ongoing demand for people who are willing to take care of children, and are good at parenting, as the busy schedules of many working parents’ demands for them to give their child in a child care agency. There is also demand for people who are looking for careers in child care agencies. 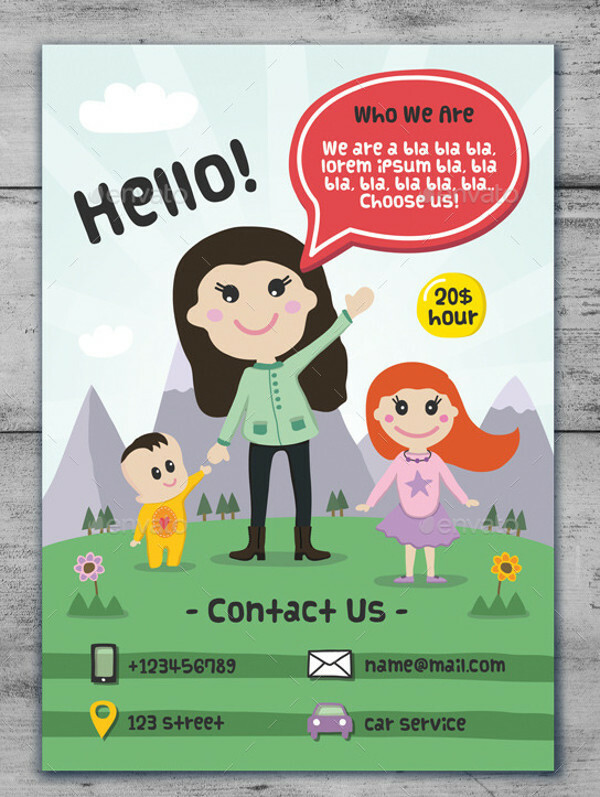 Attract these people by using these cute minimal flyers and gain their trust.